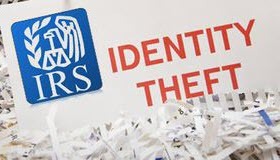 The Internal Revenue Service announced procedures for victims of tax ID theft or their authorized representative to request copies of bogus returns filed by identity thieves. This change of policy will allow identity theft victims to better assess what personal information was compromised and how it was used. Paul Bonner, JofA senior editor, discusses the IRS posting instructions for requesting the returns and explaining the circumstances under which they will be disclosed. To find out more on this Journal of Accountancy article, click: Tax ID Theft Victims may Obtain Copies of Fraudulent Returns.